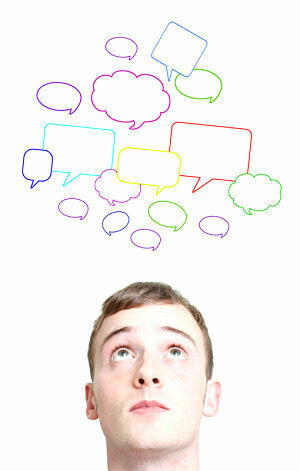 Impromptu Speech Topics - How to Deal With Them Effortlessly! Impromptu speech topics are some of the most challenging topic areas to handle in the world of public speaking. 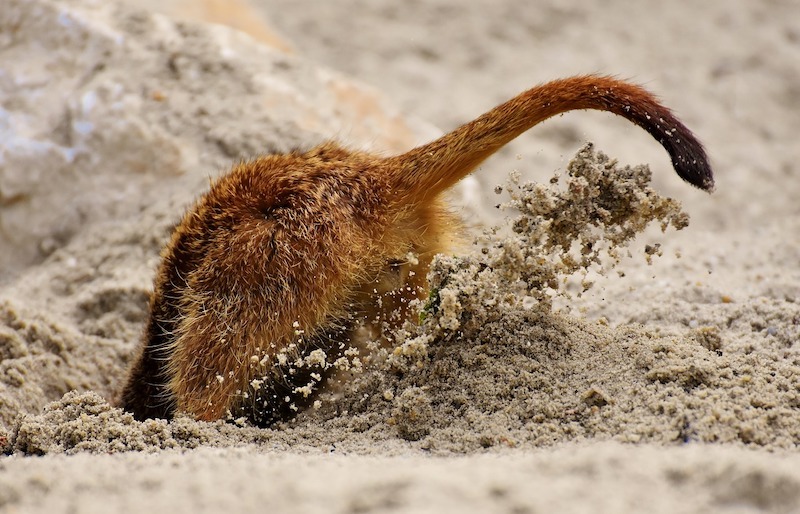 Like the Meerkat above, you might prefer hiding in the sand to avoid selection. Impromptu speeches are typically only given in a contest situation. While there are many real-world applications for impromptu speaking, you will usually be given a fair measure of warning before you are asked to speak on a particular topic. In the classroom setting, however, you may be assigned impromptu speech topics to see how well you have developed your communication skills over the course period. Alternatively, you may be asked to speak in a competition setting, during which the judges will measure your public speaking skills against those of another speaker. Or - in a business setting - you may have to give an "off the cuff" self-introduction speech. Learning to deal with the spontaneity of impromptu speeches is the key to your success in this demanding area of communication. Having a list of possible impromptu speech topics on hand that you may want to practice with is an excellent way to be prepared. If you face the type of situation requiring an impromptu speech topic, you will be ready. The primary goal of issuing speeches of this type is to measure levels of communication ability. Since this is the case, the information you offer on a topic may not be as important as the way you deliver that information. The key to making this type of presentation work for you is to understand the heart of a good speech - structure. The organization of the content is, easily, the most critical part of public speaking. Because audience members are listening instead of visually recording information, presenting concepts to them in a logical, concrete manner is essential. Any proper speech begins with at least a minimal introduction and foreshadowing of the topic thesis. Make sure that you capture the audience's attention, while also offering listeners a glimpse at the reason you are speaking to them. Canned introductions, or those that work well for any situation, are the perfect lead-in for impromptu speeches. For example, you could decide to start an impromptu speech with a personal anecdote that is adaptable to any situation. You might choose to talk about an experience you had in the grocery store the other day. This anecdote would work well for impromptu speech topics like food stamps or waiting in line as well as a host of others. Once you've polished your introduction off with a strong thesis statement, you are ready to move into the body of your speech. Be sure that you not only state your main ideas in a clear, identifiable format, but you should also offer the audience clear, consistent transitions between ideas. Supporting information is essential in the body of your impromptu speech. An unplanned address that includes facts, stories, data, or quotes with thoughtful explanations will appeal to the audience and flow with ease. The Toulmin method of organization with a claim, data, warrants for each main point of the body works as a framework, as most impromptu speeches answer a question. Here is a brief outline sample for a main point on the topic "The morality of zoos" that can be found in our list of 50 good impromptu topics. Warrant: Breeding in zoos and reintroducing into the wild helps maintain species such as the Amur Leopard. Your conclusion should tie all of your ideas together for your listeners. Offer the entire closing with a sense of summarization and finality. For beginners, provide a review of the main points and recalculate how the main points answer the question of the topic. That is all that is required for an excellent conclusion. Taking it to the next level, weave a theme through the introduction, body, and conclusion. Then, finish with a bang by providing a clincher related to the theme. You may not have the option of choosing any impromptu topic. But, if you are given any options at all, be sure to select questions about which you feel you have some level of knowledge. Having a prior understanding of the subject matter will save you a bit of time, and it may help you to offer audience members a tone of authority concerning your subject matter. Dealing with impromptu speech topics is never an easy task, but approaching the assignment with the organization of the talk in mind should help you to attack your project with a distinction of professionalism.